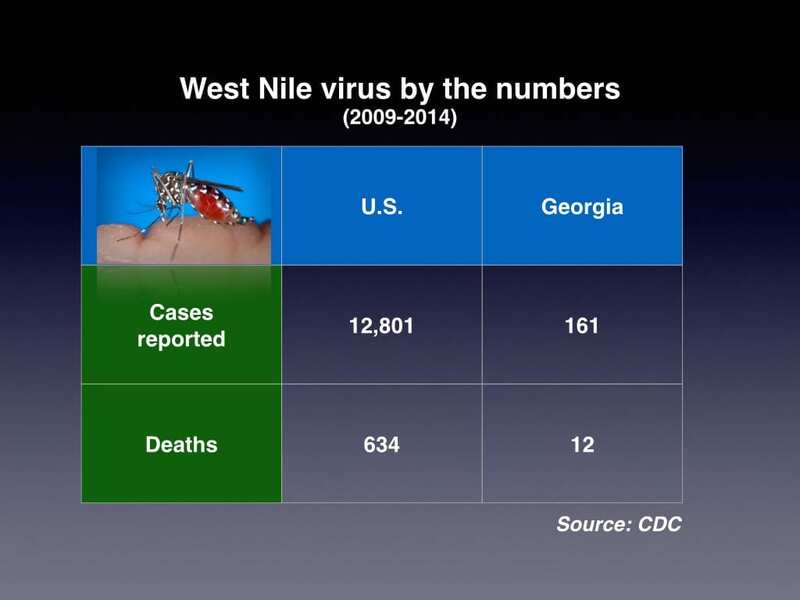 Grady Newsource Explains: How is West Nile virus transmitted? Mosquitoes in Georgia have tested positive for West Nile virus, according to officials at the Dekalb County Board of Health. Most people know mosquitoes transmit West Nile Virus to humans, but where do mosquitoes contract the virus? Elmer Gray, an entomologist with The University of Georgia’s Cooperative Extension Service explains in detail how West Nile virus is spread. According to Gray, the last known case of West Nile virus in Athens was in 2003. However, over the past five years, 161 cases in Georgia have been reported to the Centers for Disease Control in Atlanta, just over 1 percent of the total cases reported in the U.S. in that time period. People should really consider keeping the places in their yards that have the highest chances of breeding mosquitoes(stale water containers of any sort). More than half of the complaints we get when cleaning rain gutters is because the landowner has a nice fat mosquito swarm right above his window… Clogged gutters attract whatever animals, including aforementioned infected birds and breed mosquitoes. A very dangerous combination. We appeal – please people, keep the gutters clean. Once or twice per year is more than enough to keep mosquitoes away, and more importantly – the West Nile Virus!